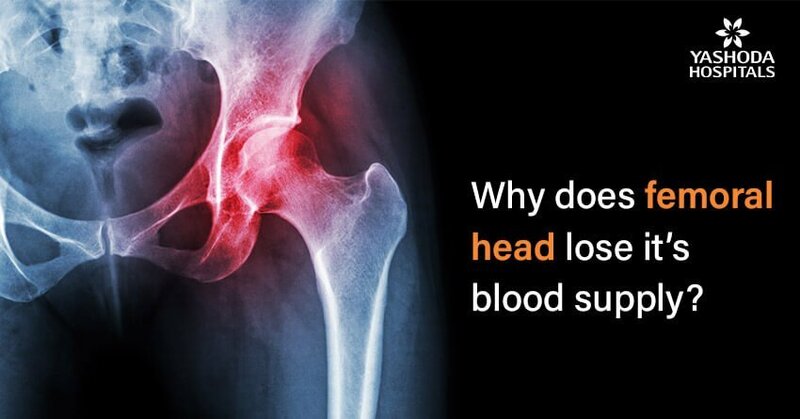 Home>>Bones & Joints>>Why does the femoral head lose its blood supply? What is avascular necrosis or osteonecrosis? What are the causes of avascular necrosis? What are the risk factors for developing avascular necrosis? What are the investigations needed for diagnosis? What are the stages of avascular necrosis? What are the treatment options for avascular necrosis? 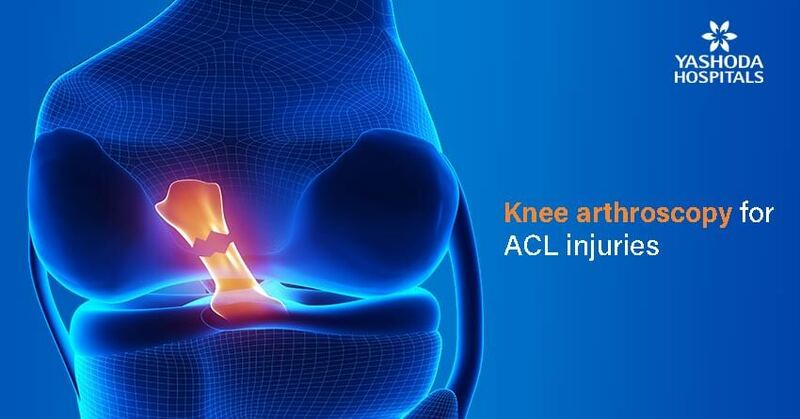 Which is the best orthopaedic hospital in Hyderabad? A lack of blood supply to the tissue within the bone leads to its death, a condition called as avascular necrosis or osteonecrosis. It can sometimes lead to tiny breaks within the structure of the bone which is responsible for its eventual collapse. 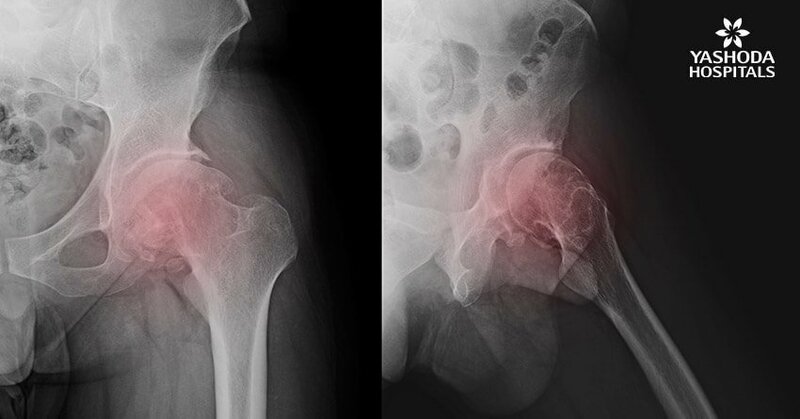 The hip is the most commonly affected area with osteonecrosis. 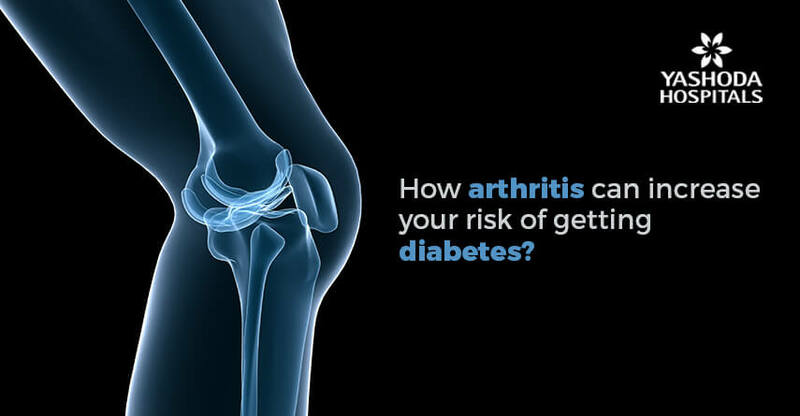 Other than the hip, commonly affected areas are the knee, shoulder, hand and foot. The early stages of avascular necrosis may not be associated with any symptoms. 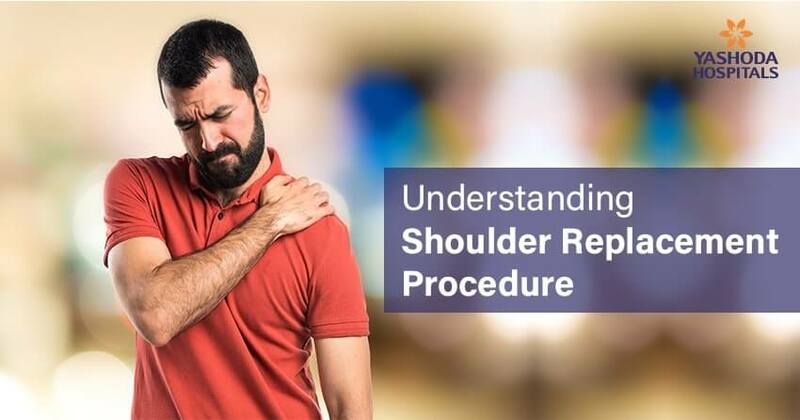 However, the affected joint may begin to hurt as the condition progresses and the person puts weight on the affected area. The primary symptom of avascular necrosis is pain which develops gradually and can be mild or severe in nature. Sometimes pain may persist even on lying down. 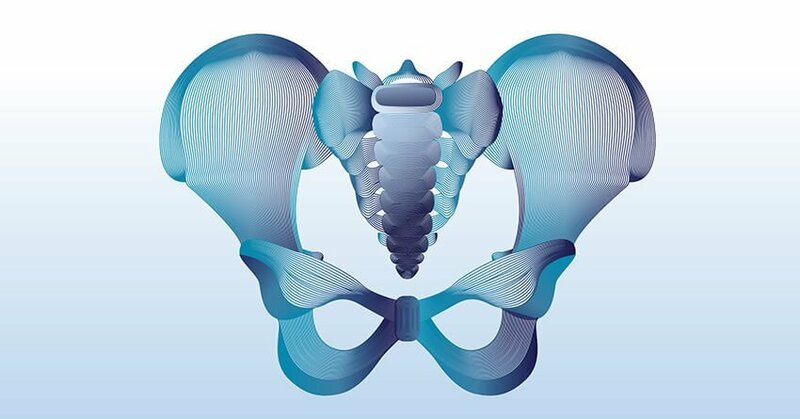 The pain is located at the centre of the groin or radiates to the area of the thigh or buttock. 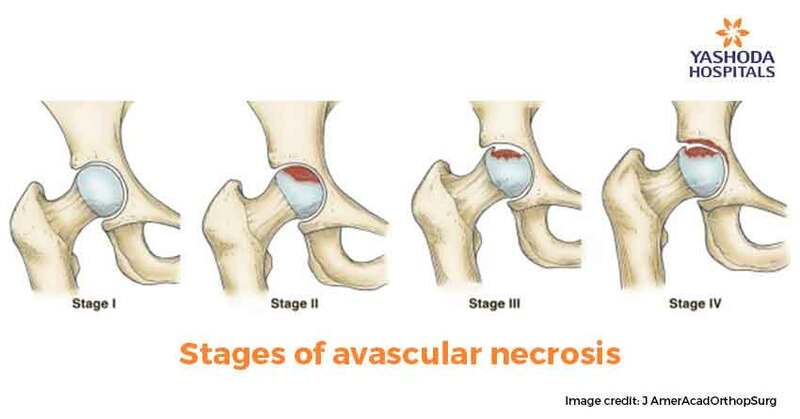 In certain persons, (4 to 5 out of 10) avascular necrosis may be bilateral, i.e., it develops on both hip joints. Trauma or injury to a joint or bone: A traumatic injury like an accident or a condition like a dislocated joint can obliterate the adjacent blood vessels. 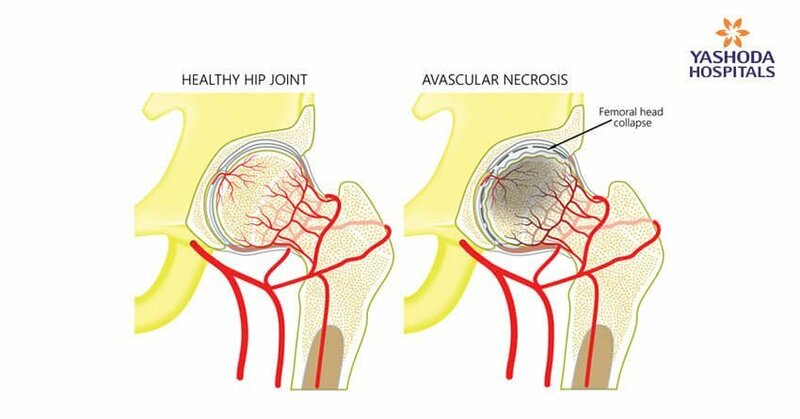 Obstruction in blood vessels due to fatty deposits: The small-sized blood vessels within the bone can get blocked due to the fat deposits (lipids) which can obstruct the blood supply to the bones. Certain medical conditions: Blood flow to the bone can also become diminished in certain conditions like Gaucher’s disease and sickle cell anaemia. In certain cases, radiation therapy for the treatment of cancers may also lead to damage to the blood vessels and weakening of the bones. Unknown causes: In about one-fourth of cases diagnosed with avascular necrosis, the cause of interrupted blood flow may remain uncertain. Injuries or Trauma that reduce blood flow to bones due to obliteration of feeding blood vessels. 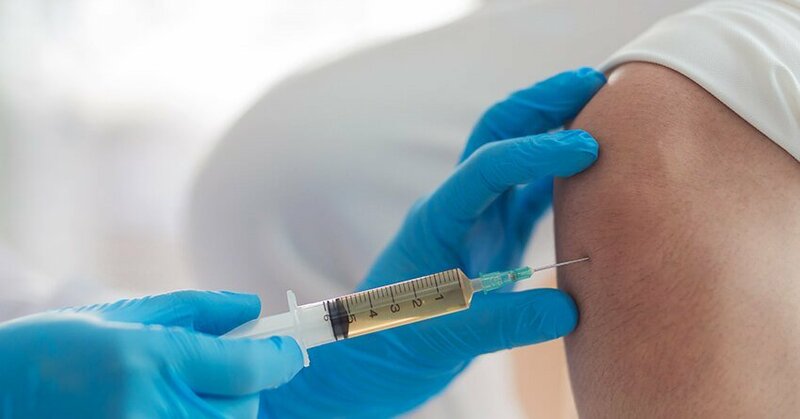 Use of medications like steroid use: High-dose corticosteroids used for the management of certain medical conditions like SLE, rheumatological conditions, ALL, multiple sclerosis etc. can lead to avascular necrosis probably by increasing the levels of lipid within the blood, thereby reducing blood flow. Alcohol excess: Excessive consumption of alcoholic drinks for a prolonged duration of time can also cause fatty deposits to form in the blood vessels thereby increasing the tendency for obliteration. 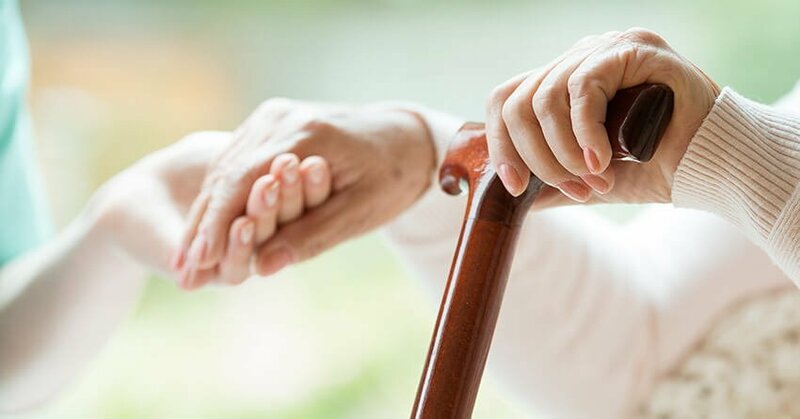 Use of medications like bisphosphonates: Prolonged use of medications like bisphosphonates that help in increasing the density of bones in osteoporosis, multiple myeloma and metastatic breast cancer etc may also contribute to developing osteonecrosis of the jaw as a rare complication. Certain medical procedures: Cancer therapy with radiations and organ transplantation like kidney transplant are also known to be associated with avascular necrosis. What are the investigations needed for diagnosis of avascular necrosis? The diagnosis of avascular necrosis is done by an orthopaedic surgeon on the basis of medical history, physical examination and tests. Tenderness and movements may be assessed by pressing around the joints and moving them during a physical examination. X-rays: Determine the bone changes in the later stages of avascular necrosis. MRI: Assess the presence of early changes in bone indicative of avascular necrosis. There are usually four stages of avascular necrosis. The goal of treatment in avascular necrosis is to manage the symptoms and prevent further bone loss. Sometimes, the condition may be self-limiting and can be managed conservatively. The treatment is a combination of conservative and surgical management when required. Regenerative medicine treatment: This is the latest advancement in the management of avascular necrosis in the early stages. 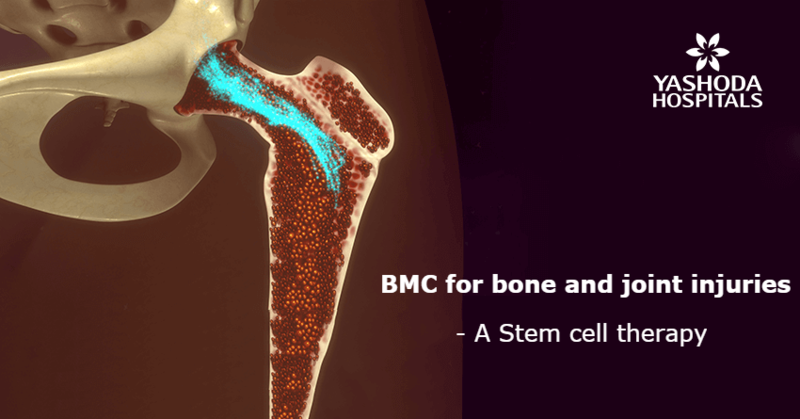 The stem cells from the bone marrow of the affected individual are harvested and inserted in place of the dead bone allowing for potential growth of new bone. However, the results of this procedure still need more study. What complications can happen in untreated avascular necrosis? Avascular necrosis is progressive in nature. If left untreated, it deteriorates with time and eventually, the bone may collapse. Progressive avascular necrosis also leads to loss of the smooth surfaces thereby causing severe arthritis. Which is the best orthopaedic hospital in Hyderabad for avascular necrosis? 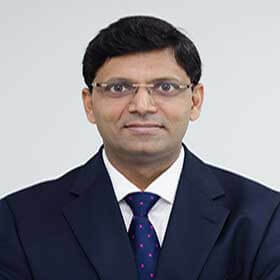 Treatment for avascular necrosis should be preferably done at a tertiary care hospital setup or a specialty orthopaedic hospital that have all the facilities as well as resources to perform these surgeries. 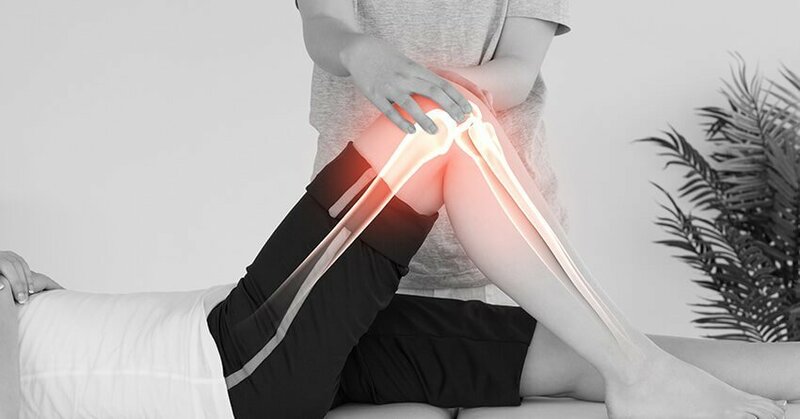 Yashoda Center for Orthopaedics is led by a team of qualified orthopaedic surgeons trained in advanced orthopaedic surgeries with sufficient experience to carry out these procedures with a multi-disciplinary team of doctors, anaesthetists and physiotherapists for preoperative, operative and postoperative care as well as for rehabilitation. The center also possesses modern facilities like a state of the art operation theatre, necessary arthroscopy instruments, diagnostic facilities like MRI, CT, X-Ray, DEXA scans, etc. and an excellent physiotherapy unit for rehabilitation.